We offer our client Iron Ore Lumps which is available in various textures, sizes, flamed and finishes. It can be personalized as per the requirement of our customers. 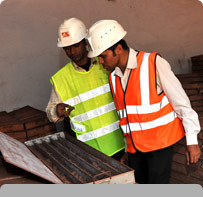 The complete batch of ores are tested on variety of parameters to ensure that they comply with client's specifications. Our organization is offering Iron Ore Lumps to our clients. It is subjected to a stringent test on purity and quality. It is processed using latest techniques in adherence with the quality standard. It is manufactured from high grade quality raw material. It is available in the market at competitive price. We are renowned as the prime supplier of Iron Ore Lumps, which are available in high grades (58%Fe to 63.5% Fe and higher grade). These Iron Ore Lumps possess a very high percentage of iron content. We assure that these have least amount of impurities. They can be availed at highly reasonable prices. We are a well-renowned organization in the industry to provide our patrons the best quality array of Iron Ore Lumps. We offer quality tested Iron Ore Lumps. The Iron Ore Lumps offered are extensively used in various industries and for various metal production process applications. In order to provide maximum satisfaction to the customers, we check the quality of the Iron Ore Lumps before they are dispatched. The Iron Ore Lumps are completely free from tarnish and dirt. We are engaged in offering Iron Ore. Keeping the credibility of our clients in mind, we obtain the iron ore from reliable sources. In addition to it, we offer these in customized form as per the requirements by the customers depending on the different grades. The company has emerged as a highly reliable and distinguished Supplier of Iron Ore Lumps in Visakhapatnam . The Iron Ore Lumps are available in different grades which range from 54% to 65% of iron (Fe) content. 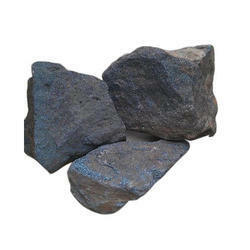 The wide usage and unmatched quality of the Iron Ore Lumps makes them a widely demanded product. We have an exclusive range of Iron Ore Lumps offering to our clients. Being a quality oriented entity, we procure these ores from reliable vendors. Post procurement, our entire stock of ore is subjected to a stringent test on purity and quality. To meet the various requirements of the customers, we are involved in offering a wide assortment of Iron Ore Stone. We are one of the topmost iron ore lump suppliers, incepted in India. Our fine iron ore lump is procured from some of the most dependable iron ore manufactures. Our natural iron ore lump is assured to be 100percent natural. Our optimum quality iron ore lump is provided to customers at the most competitive prices. We can provide Blue Dust Iron Ore Sized Ore 1 mm - 20 mm. This material is suited for Pellet & Sinter Feed. Superior grade Iron Ore Lumps provided by us has enabled us to draw a large number of clients from all across the globe. Iron Ore Lumps we offer contains high percentage of Iron and are free from impurities such as aluminum oxide, phosphorous, silicon etc. among others. Moreover, they have a very low moisture content that aids in making of different grades of Iron.